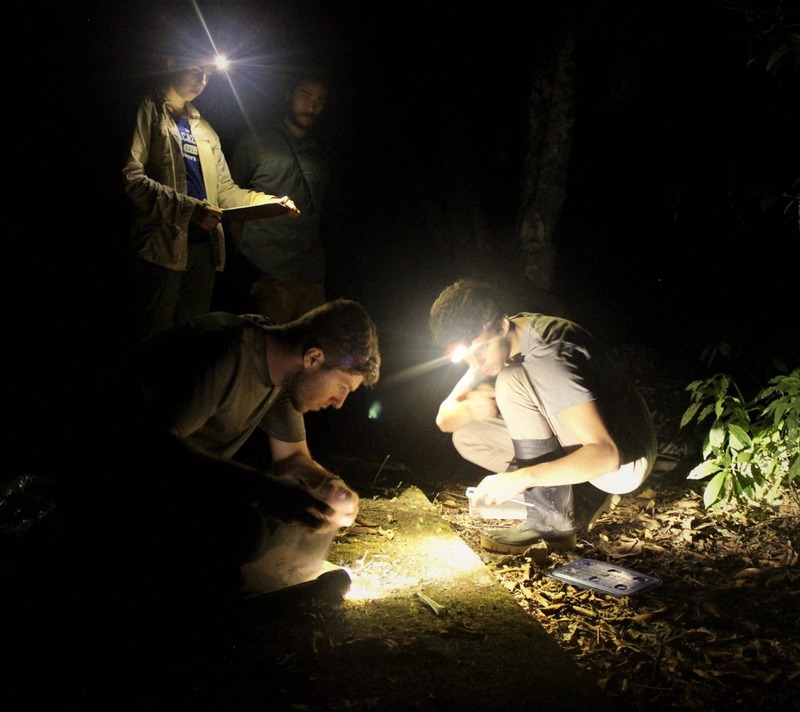 The summer course in tropical biology is fast-paced and will engage you in some of the most critical issues facing tropical biodiversity and ecosystems today. During the four-weeks of the course, you will study in OTS’ three field stations in Costa Rica, giving you access to highly threatened tropical dry forests, lowland wet forest, and primary and secondary premontane wet forest. 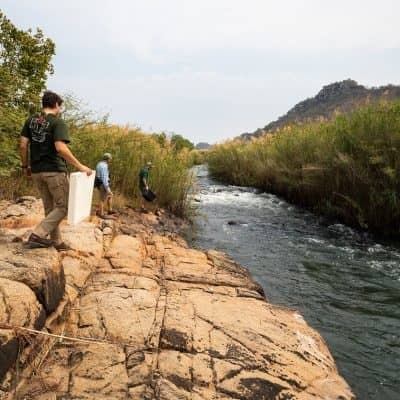 You’ll become familiar with the natural history of these diverse sites and engage in research under the mentorship of experts working at the field sites. Studying with OTS in Costa Rica is a truly unique experience. Costa Rica is a biodiversity hotspot and is a model nation for conservation globally; it is committed to becoming the world’s first fully decarbonized country. 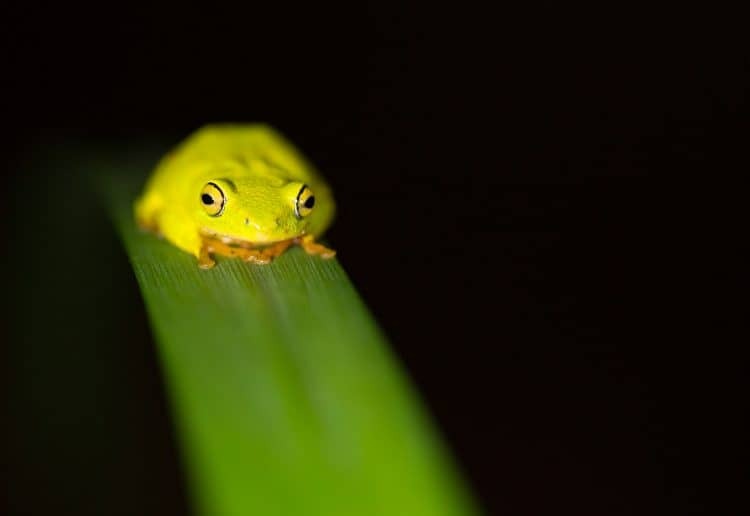 OTS has been introducing students to ecology and conservation in Costa Rica since 1963 and has trained well over 10,000 students throughout the years, many of whom have gone on to work as scientists and conservationists. The Tropical Biology summer course is worth 4 credit hours and is offered through Auburn University at Montgomery. This course integrates classroom and field instruction to introduce students to the fundamental principles of tropical biology and the natural history of tropical plants and animals. The ecological complexity of the tropics, the patterns of species diversity and the types of species interactions that characterize these systems are discussed in detail. OTS summer courses are open to all undergraduate students in good standing with their home institution who are at least 18 years of age and have a minimum 2.7 GPA. 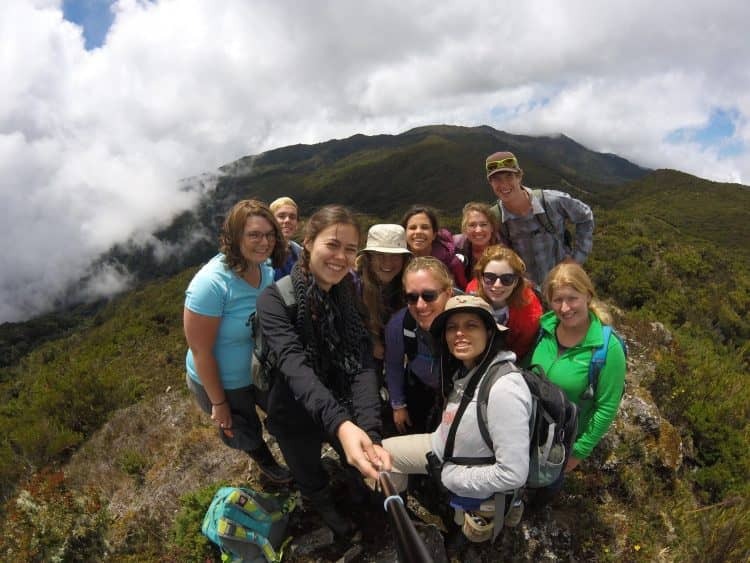 Students applying to the Tropical Biology summer course must have completed the equivalent of one year (or two semesters) of college-level biology (or related coursework). Spanish language experience is not required. If you are unsure if you meet these requirements, please email undergraduate@tropicalstudies.org. You will be spending most of your time in four field stations operated by OTS, and will be visiting one other. Below is a brief description of all the sites. Due to the number of rooms available to the course at each location, it may not always be possible to house all males and females in separate quarters. Accommodations range from large rooms of bunk beds to smaller rooms for four to six people. Sites are subject to change. Las Cruces Biological Station is located on the south Pacific slope of Costa Rica close to the town of San Vito, only a few kilometers from the Panamanian border. At 1,100 meters, Las Cruces is the site of the world famous Wilson Botanical Garden, which houses 10 hectares of native and imported tropical plants, including bromeliads, palms, heliconias, and orchids. In 1983, UNESCO recognized Las Cruces as part of the international Amistad Biosphere Reserve. The site also protects 365 hectares of forest, with a rich diversity of plants, mammals, birds, and other important groups. Close to the station, you will find a collection of forest patches that have been an important site for research on the biological dynamics of fragments. This is a very important site for research in restoration ecology. Las Cruces is one of the most comfortable field sites. Available services include internet access, laundry, and hot water. This premontane site is located in the southeastern region of Costa Rica and serves as a satellite station to Las Cruces Biological Station. The forest at Las Alturas is contiguous with the enormous La Amistad National Park, which is the largest national park in Costa Rica and continues on as a bi-national park into Panama. This is a very rustic site with no internet access, limited electricity, phone for emergencies only, and large shared bunk rooms. It can be quite cool at this site, especially at night, so bring warm clothes. The station is located within a private reserve that also holds a farm that is occupied by a number of members of the Ngobe indigenous group. The adjacent forest includes a hike up the Cerro Chai, famed for an unusual montane cloud-loving flora at its peak. Located in the Caribbean lowlands, La Selva is OTS’s largest field station and is one of the bestknown tropical research sites in the world. The station protects approximately 1,600 hectares of primary and secondary tropical rain forest. It averages 4,000 millimeters (over 13 feet) of rainfall a year. 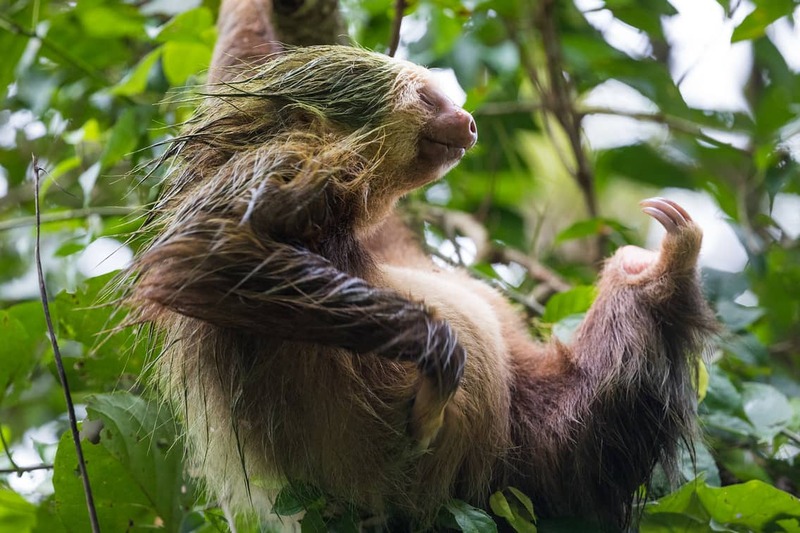 This lush environment facilitates the existence of thousands of species of plants and animals, making La Selva a great place to see all kinds of wildlife, including toucans, monkeys, ocelots, agoutis, peccaries, and the endangered green macaw. Two major rivers, the Sarapiquí and the Puerto Viejo, border la Selva. These rivers form part of the San Juan River Basin. La Selva is connected via a biological corridor with Braulio Carrillo National Park, which contains 46,000 hectares of forestland and ascends almost 3,000 meters in elevation to Volcán Barva, which overlooks the town of Heredia in the Central Valley. La Selva has an extensive trail system, lots of lab space, and is, in general, a pretty busy place. (The station can sleep over 100 people.) Important crops grown in the area surrounding La Selva include banana and heart of palm. Services available at La Selva include laundry and internet access. Telephone and fax are available in special circumstances. Showers may or may not have hot water. Housing consists of small dorm rooms with up to six students each. Through an agreement with the Costa Rica National Park Service, OTS maintains this field station within the Palo Verde National Park. 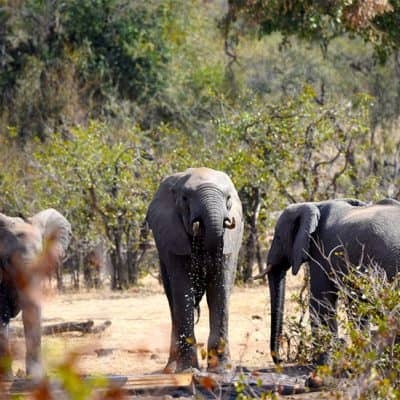 This reserve, located in the northwestern region of the country, lies on the boundary between an extensive marsh and seasonally dry forest underlain with limestone. It protects part of the lower Tempisque River Basin, the largest river drainage of the historic province of Guanacaste. Palo Verde is recognized internationally as one of the most important wetland habitats for nesting waterfowl. It is also a great place to see monkeys, deer, lizards, and crocodiles. Several trails lead to lookout points with incredible scenic vistas, favorite spots for watching the sunset. The park is currently impacted by rice and sugar cane cultivation in surrounding wetlands. It is also unique among Costa Rican parks in that domestic animals (namely, cattle) have been incorporated into its management program; a somewhat controversial decision that you will have a closer look at when you are there. The field station is rustic. Services available at Palo Verde include internet access and laundry. Palo Verde is the buggiest of the sites, particularly in the wet season, so be prepared for lots of mosquitoes while you are there! 6:30am, Breakfast: Rice and beans are a staple diet for Costa Ricans, and this is true even at breakfast. Most mornings will begin with gallo pinto, or rice and beans cooked together with onions, garlic, and other spices. This will often be accompanied by eggs, toast, fruit and coffee, juice or tea. 7:30am, Field activity: Most field activities take all morning, or in some cases will go into the afternoon. If the plan is to be out in the field until, for instance, 2pm or 3pm, you will take a bag lunch (usually a sandwich of your choice, fruit, cookies, and juice; and yes—bean sandwiches are an option). For field activities, you will often need to wear rubber boots, and always take water and your field notebook with you. This is the best part of the day—be prepared to get wet and muddy!! 12:00pm, Lunch back at the station: Whatever you have for lunch, it will almost certainly be accompanied by rice and beans. 2:00pm, Lectures and/or discussion sections: There will be schedule classroom activities in the afternoon to minimize the chances of getting caught outside in the rain. Lectures generally last 1- 1.5 hours each; discussions last an hour—sometimes longer if the topic is really interesting. 5:00pm, Free time: Most students use this space to go running, play soccer, rest, catch up on correspondence, etc. 7:00pm: There will often be evening lectures. Otherwise this time can be used for study time or relaxing. 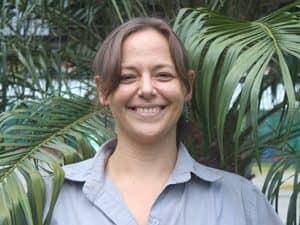 Amanda is the Education and Research Liaison at La Selva Research Station. 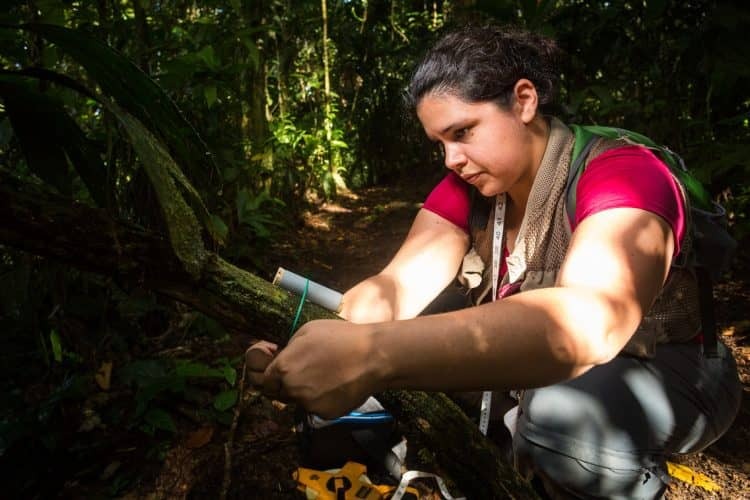 She earned her Ph.D. at the University of Connecticut, where she studied tropical forest regeneration and ecology. She has also worked extensively as a researcher, professor and educator, restoration project manager, conservation professional, land manager, and mentor. Prior to joining OTS, Amanda directed a wildlife refuge in Sarapiquí, the province in which OTS’ La Selva research station resides. Amanda’s interests include forest landscape restoration, integrated landscape management, plant-animal interactions (especially mammals and seed dispersal), patterns of seedling regeneration, forest disturbance, resilience, and how ecosystem health affects human well-being. She volunteers in Costa Rica with the Biodiversity Partnership Mesoamerica, San Juan-La SElva Biological Corridor, and Sarapiquí Conservation Learning Center. You will have limited personal space this summer. Though you may have one or two roommates on campus, in Costa Rica you will be living closely with close to 15 other students and two to five professors or field assistants. This means communication and respect will be crucial. Everyone needs to be as open, honest, and cooperative as possible. You also need to have sincere respect for one another, regardless of different opinions and lifestyles. This includes respect for privacy, respect for rules and regulations, and even respect for the fact that unpredictability is an inherent feature of field-based programs. Indeed, next to communication and cooperation, flexibility and a good sense of humor are the most important characteristics of a successful student in the program. The upside of a field-based program, of course, is that you will undoubtedly develop a number of very close friendships. The combination of uncomfortable (being wet, muddy, and tired) and wonderful (watching iguanas sunning on the bridge at La Selva) situations creates great images and memories. You will, for sure, share these with your fellow participants well beyond the end of the summer. You must have a valid Passport to travel to Costa Rica. It is important that the passport does not expire within 6 months of your last day in Costa Rica. If you are NOT a citizen of a North American or European country, you will probably need a special visa to get into Costa Rica. We recommend that you contact your respective consulate or embassy services to determine if you need a visa to travel to Costa Rica. It is important to take into account the requirements to get a visa approved before you apply for one of our courses. If you are accepted into one of our programs we will provide any information necessary (within reason) to help with the visa application. Please keep in mind that visa application processes can take several months depending on the country of issue. For more information on this topic please visit http://www.migracion.go.cr/extranjeros/visas.html. U.S. citizens entering Costa Rica are automatically granted a 90-day tourist Visa. Students planning to stay in Costa Rica after the program end date need to take this into account. Please contact the Enrollment Management team at undergraduate@tropicalstudies.org if you have any questions. OTS is deeply committed to student safety and well-being, we do not expose students to unnecessary danger or risk. We monitor national and international events that might affect our students. Five decades of risk assessment, emergency response, and crisis resolution have enabled OTS to maximize student safety and security. All students participate in an on-site orientation program upon arrival. For our most current safety information, contact the OTS Enrollment Management staff at undergraduate@tropicalstudies.org.